These are great green beans, Mrs. White! ≈ Comments Off on These are great green beans, Mrs. White! 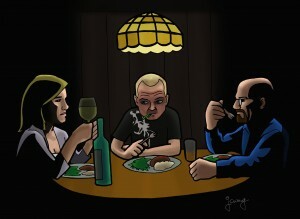 From episode 6 of the latest season of Breaking Bad. This show just doesn’t let up. ≈ Comments Off on Jen Kirkman! 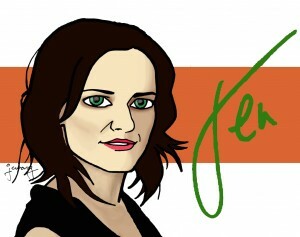 Here’s a practice doodle of comedian Jen Kirkman. 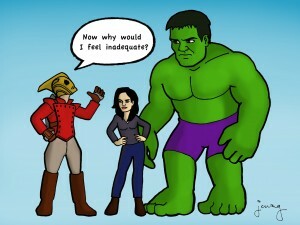 I just wanted an excuse to draw Jennifer Connelly and the Rocketeer. 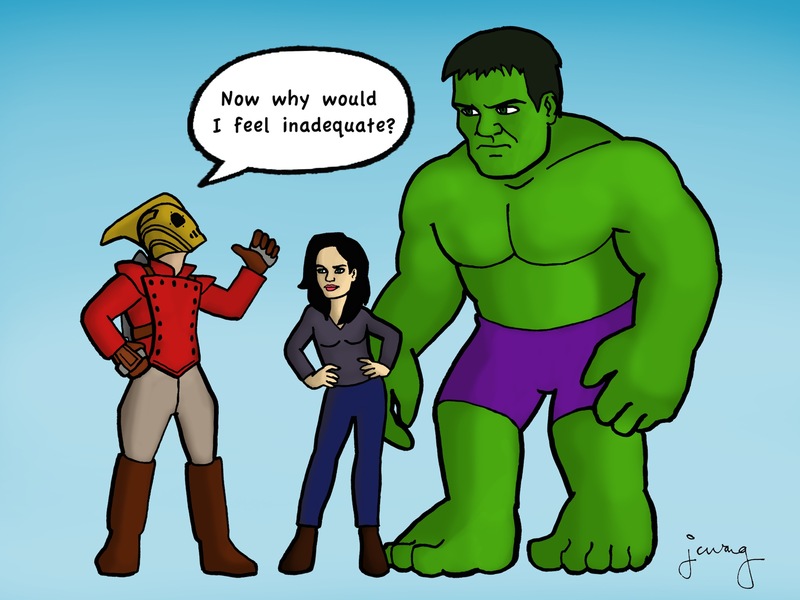 Plus bonus Eric Bana Hulk. ≈ Comments Off on Daredevil redesign! Sorry for the lack of updates the past few weeks, no one. There’s been some craziness, what with moving from LA to SF and some death in the family. 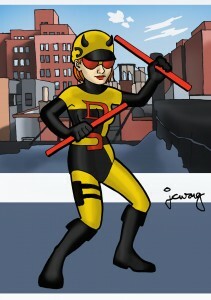 But here’s my submission to the Daredevil redesign contest for superheroofthemonth.com. Really fun to do. Yes, I used a previous drawing as the background.